Gateway Alcohol & Drug Treatment Centers announces today it has been approved by Department of Commerce and Economic Opportunity to receive a $500,000 grant, which will help fund the investment surrounding a 10-bed expansion construction project at its drug rehab center located in Aurora, IL. As heroin continues to lure a following of young adult users from the Fox Valley area, the additional capacity will help Gateway meet the escalating demand for inpatient substance abuse treatment services. 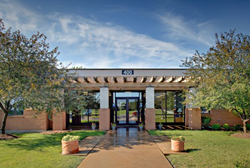 Serving the Fox Valley area, Gateway Alcohol & Drug Treatment Center is located near I-88 in Aurora, Illinois. "For the most part, the surge in heroin use in DuPage and Kane counties have caused a bleak 'no vacancy' status quo for inpatient treatment,” says Gateway's Jim Scarpace. “The reality is the surge in heroin use in DuPage and Kane counties have caused a bleak 'no vacancy' status quo for inpatient treatment services since providers, for the most part, have been working at full capacity. Thanks to the financial backing from DCEO, more individuals who struggle with addiction issues will have access to life-saving treatment and the kind of emotional support needed, when they are ready to get life back on track,” explains Jim Scarpace, Executive Director, Gateway Aurora. Gateway Aurora also is an active participant in solution-minded community coalitions, which bring together elected officials, businesses leaders and concerned citizens to collaborate on strategies to address the area’s heroin problem. Thanks to unwavering support from State Representative Linda Chapa LaVia, state Sen. Jim Oberweis, Congressman Bill Foster (IL-11) and Congressman Randy Hultgren (IL-14), progress has been made in alleviating vulnerabilities, educating the public and saving lives. For example, Naperville police now carry Narcan nasal spray to be administered in the event of an overdose, which has resulted in 25 lives saved in one year alone according to Chicago Tribune story published on Oct. 17, 2014. “During my time in Congress, I have looked for ways to attack from head-on the problem of substance abuse. Healthcare providers know the best way to fight addiction is to provide in-patient treatment, like the services provided by Gateway Alcohol and Drug Treatment Centers. This grant funding will go a long way in the fight against substance abuse in the Fox Valley and the surrounding area. Ten more beds at this facility mean more people will get the help they need and be on the road to recovery,” says Congressman Bill Foster. When complete in July 2015, Gateway Aurora’s renovated inpatient annex will include a total of 44 beds, increasing client capacity by about 22 percent. The Aurora center also offers step-down services, Outpatient and Aftercare programs; please visit RecoverGateway.org/Aurora for more information. Gateway Alcohol & Drug Treatment Centers provide substance abuse treatment services for adults and adolescents at drug treatment centers throughout Illinois and the St. Louis Metro East area. Gateway’s outpatient and residential treatment centers are licensed by the state of Illinois and accredited by The Joint Commission. Each year, Gateway’s professional clinicians help thousands of individual's successfully complete treatment. To learn more about Gateway’s free, confidential consultation, call 877-505-HOPE (4673) or visit RecoverGateway.org.